Always a feast for every sense, Morocco delights when it comes to taste. With a unique cuisine that is recognised around the world, eating is always an experience to savour. 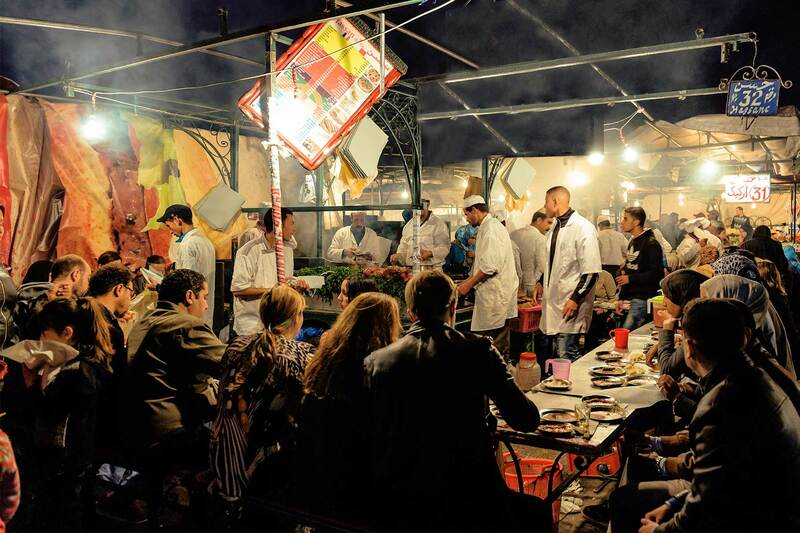 Walk through the souks of the medina and you’ll be treated to a range of mouthwatering scents, from sizzling keftas on cookfires to the exotic aromas emanating from the stalls of spice merchants. With so much choice it can be hard to know where to point your plate first, so here are five foods that will have your tastebuds tingling! A Moroccan classic, couscous is a diet staple, normally served with vegetables or meat stews with sauces and flavourful additions of herbs and spices. Made from steamed balls of crushed durum semolina, it is often flavoured with saffron, giving it the distinctive Moroccan taste. You will be astonished the difference between authentic couscous and the pre-steamed variety available in Western supermarkets. This Moroccan tradition is a phenomenal way to prepare meat. The labour-intensive process begins by carefully rubbing a whole lamb with a mix of exotic spices before slow-roasting it through the night in a deep oven. When it’s finished cooking the meat is pale and soft, with just the right amount of tendernesss beneath its golden crackling. The pastilla is originally a Fez delicacy, and you can find it being baked across Morocco. Harry and Meghan were treated to pastilla on their recent visit to the Kingdom. Break through the dome of flaky golden pastry (‘warka’) with your fork and discover the delicious, steaming, spicy meat beneath. Traditionally this is pigeon, though increasingly chicken is used. Pastillas are often topped with ground almonds and cinnamon to give them the sweet and savoury flavours that Moroccans love. It sounds a bit like a pie, and it has similarities with baklava too. The taste is out of this world. 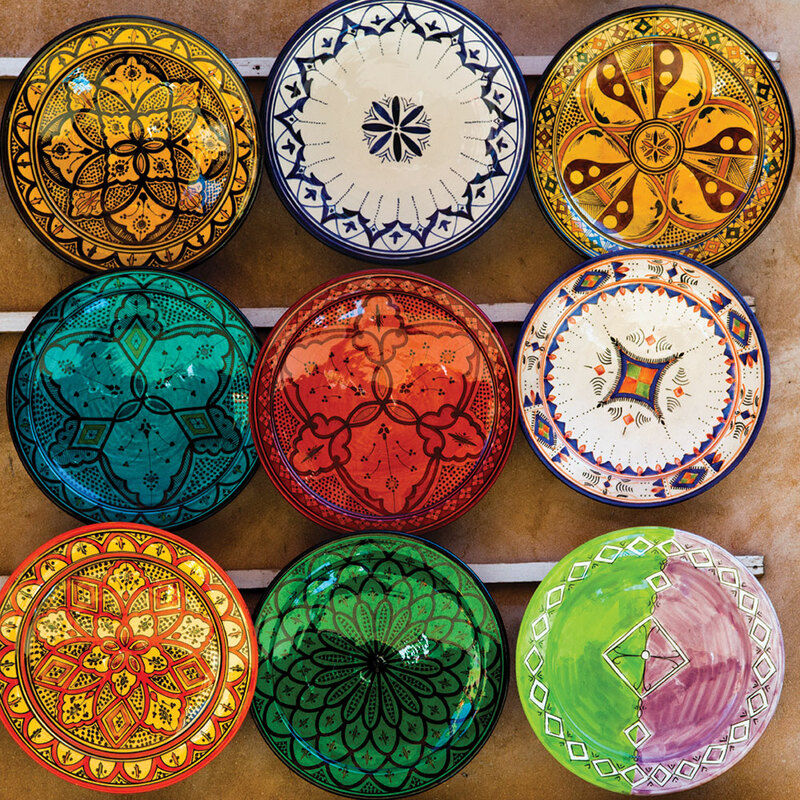 Perhaps the most iconic of Moroccan dishes, tagines are cooked in the recognisable cone-shaped clay pots. These slow-cooked casseroles contain sliced meats, often lamb and sometimes fish or poultry, with a variety of vegetables. They are seasoned with spices, nuts and dried fruit and are usually eaten with pieces of fresh cooked bread; you simply scoop up the savoury goodness with chunks of crusty loaf. 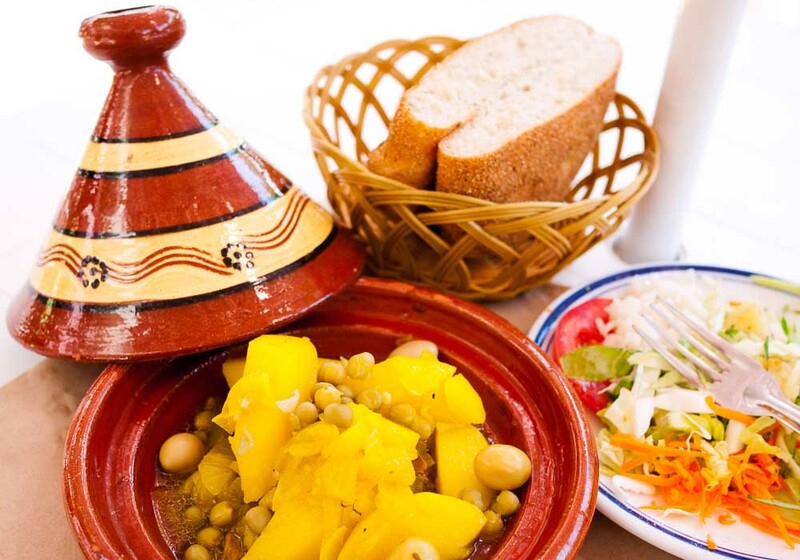 A classic staple of the Moroccan diet, this is a soup made from flour, lentils, tomato and chickpeas, with other vegetables, meat and rice thrown in as optional extras depending on the chef’s preferences. It’s usually served as a starter, but that doesn’t mean you can’t enjoy a bowl as a meal in itself. It’s especially popular during Ramadan, used to break the day-long fast. Super soup!